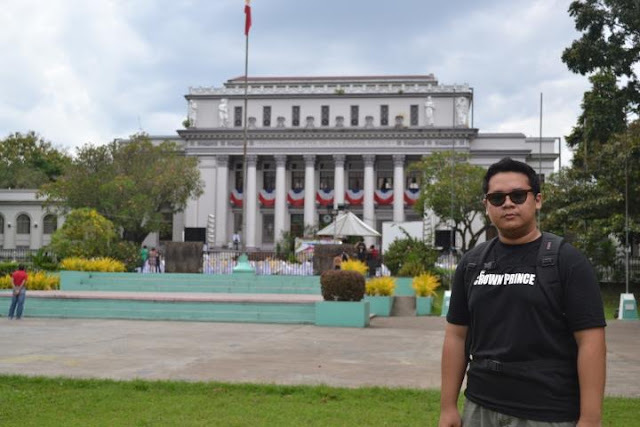 Bacolod is the Capital of Negros Occidental situated at the upper left of the island of Negros. Hiligaynon is the Language spoken together with the rest of Western Visayas. You can get there from Manila via direct flights through major carriers. 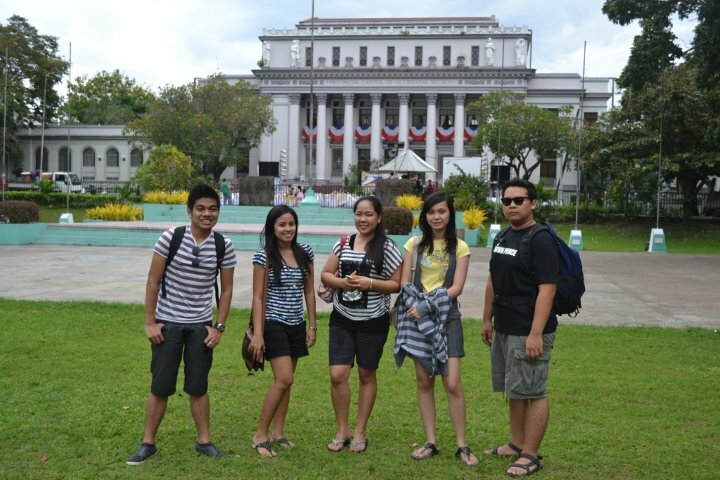 But in our case, Bacolod is the Second Stop of our Western Visayas Tour. From Iloilo City, we purchased Ocean Jet Ferry tickets at the SM Traveler's Lounge but you can get them at the same price on the Ocean Jet Ferry Port. The round trip ticket costs 320 pesos per head plus Terminal Fees for both IloIlo and Bacolod worth 50 pesos for a total of 370 pesos per head for a round trip ticket. A One way ticket costs the same but since we are availing of Ocean Jet's Libreng Balik promo, Our fare back to Iloilo will be free! The ferry trip lasted for about 45 minutes. The trip was very nice because the sea was calm and the fast craft really sticks up to its name, FAST craft! The view while we left Iloilo port was spectacular! Almost as if our windows are TV screens featuring the colonial era of the country! We arrived at Bacolod at around 3 in the afternoon. The city greeted us with a fine and sunny skies. We are about to get the usual two taxi cabs as we always split ourselves into two groups. But then there were Tricycles lining up just outside the Ferry Terminal and so we decided to take it on our way to the hotel. 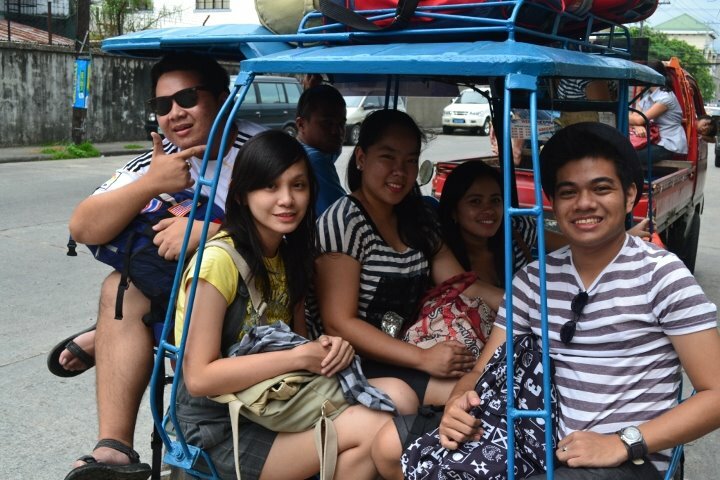 We were to get two tricycles but then they insisted that all six of us, including our luggage, would fit one. Yes! One Tricycle and so we did! We asked about the price and it was just 15 pesos per head from the Terminal to O Hotel as our driver Kuya Biboy said. So the six of us would just pay a total of 90 pesos. My Dad and Ivy sat in front, Ate Judy, Myrcel and Rjay at the Back of the carriage and me, well, at my favorite spot, at the Back of the Driver! It was a great ride to the hotel! For me, is was wild! There were no back rests unlike the ones here in Luzon so the way I sat was facing the road, my back against the driver as he went so fast along the road! 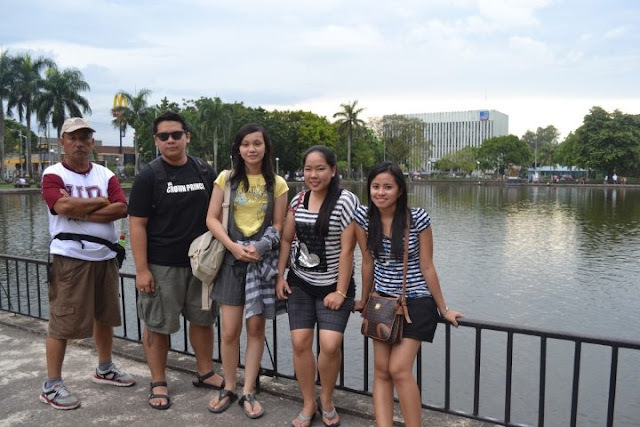 Bacolod City was clean almost as clean as IloIlo City. So When we arrived at O Hotel, we Checked-in and the Hotel was really nice! All the crew were nice and smiling, staying true to the city's Title. But then Ivy decided to look for her church because she is an Iglesia ni Kristo Parishioner so we all decided to accompany here looking for her kapilya. 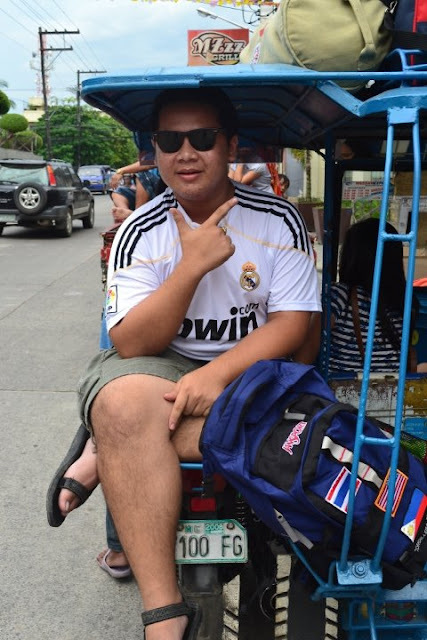 We decided to ride Kuya Biboy again our Tricycle Driver. But before Ivy went to her Church to attend, Kuya Biboy gave us a small tour around the sights in the City and our First stop was Negros Museum. The museum was closed at that moment unfortunately but we still had some pictures outside the building. And after that we rode back to the tricycle and the Kuya Biboy took us to what they call the Lagoon. It was gorgeous! This is their Plaza right in front of the Provincial Capitol of Negros Occidental. The lagoon is very clean and hundreds or might I say thousands of Tilapia fishes live on it and feeds are being sold so that people can feed the fishes. Then we walked a little farther and we had some pictures in front of the Provincial Capitol. The building was beautiful and I think it was pattered to the US White House. People are flocking along the park and I noticed that there are many barkadas or groups of school aged teenagers having fun with their friends chatting and laughing along. We were very happy to see such friendships because we ourselves have been a barkada since Kindergarten even up until now that we all have our own careers. So it was time for Ivy to attend her church and she was nice enough to let us roam around the City while she was on church. So after dropping her, Kuya Biboy dropped us to the Jeepney Terminal that will take us to the Ruins. 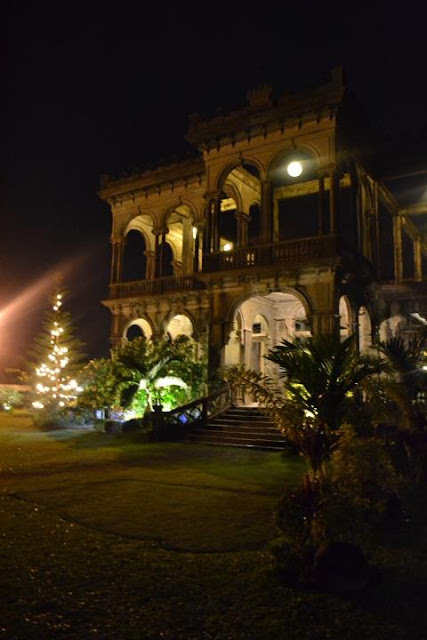 The Ruins is a Beautiful Unfinished Mansion which is truly one of the greatest attractions in Negros Occidental. So it was almost 5:30 pm and Kuya Biboy told us that we'll just text him if we got back to the terminal. So we road a Jeep to Silay City for just 15 pesos and it was around 20 minutes when we got there. So when the Jeepney Conductor knew we were about to go to the Old house he was scaring us and told us that it was a Haunted House and he was even making scary sounds and everyone of us in the jeepney went to burst out of laughter! It was really refreshing to be in Bacolod because all the people are just so nice! When we arrived, we have known that we are in the wrong place! The ones in Silay City was the Balay Negrense but we should be in The Ruins on another city, Talisay City. 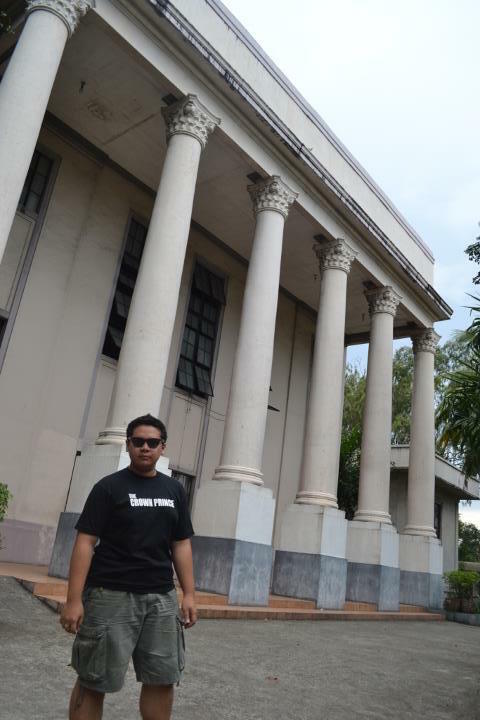 It was quite a story which I shall be telling you on a separate post about Silay City. Then after roaming around Silay, We decided to ride a jeepney back and it was dark already. We talked to the aircon jeep driver that took us back to Bacolod about directions on how we could get to the Ruins. Personally I would want to get back to the Hotel now but my friends are still eager to get to the Ruins so I decided that we should go since we are already there and it is very important to see it. So after talking to the driver and after we got back at the terminal, he was so nice to accompany us to the place where we can ride a tricycle to The Ruins in Talisay City. 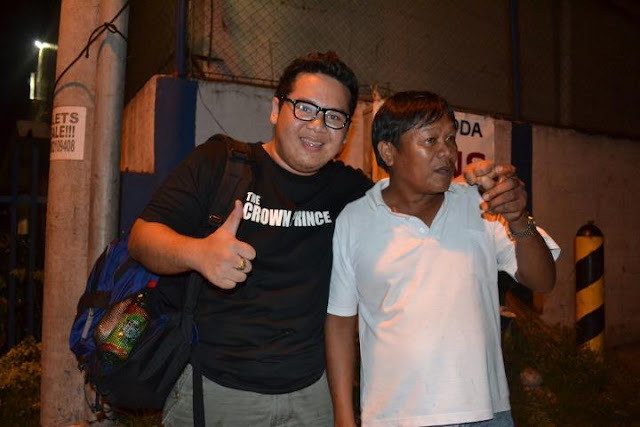 He was also the one who talked to a Tricycle Driver and sealed the deal of 50 pesos per head for a round trip to the Ruins. He was so nice and I will never forget his kindness to us! Bacolod really does have AMAZING people! So it was quite a ride to the Ruins because it was already dark and we were running through massively tall sugarcane plantations! Almost as if we are on a scene of a Scary massacre Movie! I'm not scaring you guys but it's just the scene on the road to The Ruins. 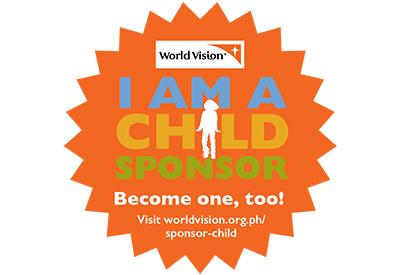 Besides I never really got scared that much because I know how nice the people of Bacolod are in just a few hours in the City. And then we arrived. I was speechless, amazed, enchanted and as Taylor Swift would describe it, wonderstruck by the sight in front of me! 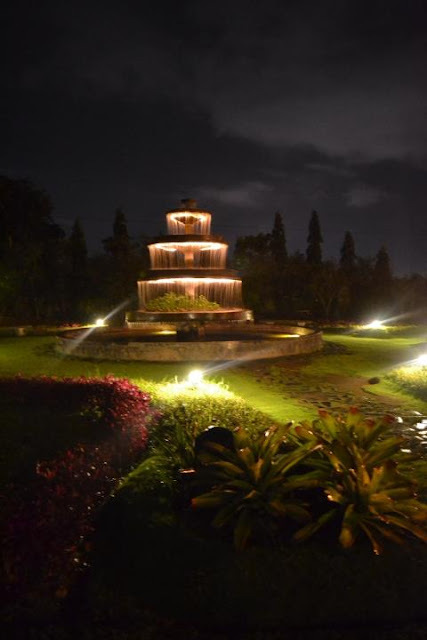 It was almost the most beautiful thing at night I have ever scene (after the Fireflies I saw in Sorsogon). The Ruins are just spectacular! It will be a great setting for Taylor's Music Video I thought of that time! It was so beautiful! I just can describe it enough how majestic it looks in person! Too bad my Camera drained after a few shots, I didn't even had a shot with myself in it except from my friends' digital camera! But still I felt very lucky to be there at that very moment and still, I got a few shots! I will be back at the Ruins someday and relive that very moment as if it was my first time seeing it! I'm sure that's not so hard! Bacolod is just Magnificent! I can say that the friendliest and nicest people I have ever encountered in my life are the Negrenses! They are very warm and welcoming to everyone and to anyone who visits their City! Me and my Ate Judy were on the Tricycle ride when we both thought of something! I was astounded that it wasn't just me that thought of this, that Bacolod is called the City of Smiles not just because that their natives are always smiling but because anyone and everyone that visits the city will never run out of a smile in their faces because of their AMAZING PEOPLE!